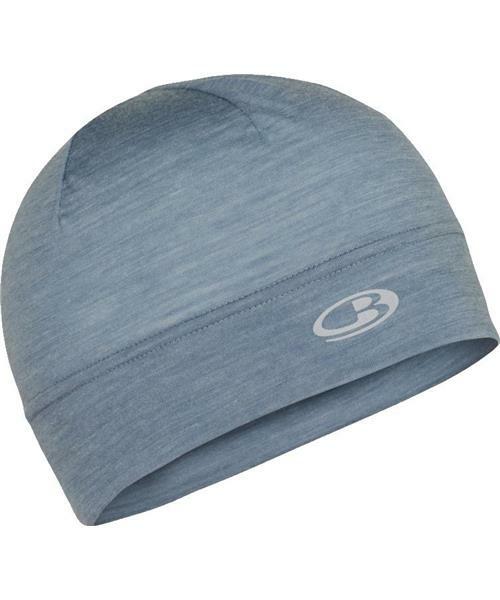 Icebreaker's soft and stretchy lightweight beanie that’s a go-to for evening runs, unexpected chills and summer trips to the mountains, the Flexi Beanie features our Cool-Lite™ fabric for quick-drying performance and incredible breathability. Made with a soft blend of merino wool and natural Tencel®, the Flexi also features their corespun fabric, which uses nylon fibers wrapped in merino wool for added durability that retains next-to-skin softness. The double-layer cuff reduces chafing, and a reflective Icebreaker logo increases visibility in low light. Flexi Beanie is rated 3.5 out of 5 by 6. Rated 1 out of 5 by Peter8747 from Not Recommended I’ve been buying these beanies for many years, but as of lately, the manufacturing has changed making these beanies too small for adult head. If you’re reading positive reviews, chances are that they are based on old design. Stay clear and unless they are fit your kids, do not purchase. Rated 5 out of 5 by TawitC from Flexi Beanie The Flexi Beanie has been an awesome product since purchasing it many years back. They have been worn completely out with many holes exposing the skin. The Beanie does its job, whether in extreme cold winters as an underlay, or just wearing it to keep the cold wind from zapping all the heat through a bald head. I'd recommend outdoor enthusiast to buy one and carry it in your pocket for when the weather gets cold. Often when placing it in the pocket u forget its there, so lite, yet tremendously useful when the weather changes. The price now is a bit much since I first bought a Beanie. However in my humble opinion it is fantastic beanie to own. Buy two and keep the other until the first wears out. Or, it is certainly a great gift for an alien/male/female/transgender. Rated 4 out of 5 by SBSV from Very light and soft Very lightweight hat, perfect for cool fall or spring days. A little short, so doesn’t quite cover the ears. Seams inside are rather larger, which may be uncomfortable for people with little to no hair. Rated 1 out of 5 by cousinkoal from New Beanies too small the latest make of these items are of a thinner material and are much smaller in fit. I can't pull the material to cover my whole forehead. Not impressed with the new version and will be returning the item. Rated 5 out of 5 by That Guy from Nice fit! Got this as a gift for when we go on the waverunner. It keeps my bald head from getting burnt while on water all day. Never worried about it blowing off even at 100/Km+. nice and cool too! Rated 5 out of 5 by opuspengwin from Can't wait for September in Iceland! Very comfortable but kinda warm to wear in July! I mainly bought it for my trip to Iceland in September and am looking forward to wearing it more in the wind and cold!